You can control in Azure AD who has access to G Suite. You can enable your users to be automatically signed-in to G Suite (Single Sign-On) with their Azure AD accounts. A Google Apps subscription or Google Cloud Platform subscription. To test the steps in this tutorial, we do not recommend using a production environment. This document was created using the new user Single-Sign-on experience. If you are still using the old one, the setup will look different. You can enable the new experience in the Single Sign-on settings of G-Suite application. Go to Azure AD, Enterprise applications, select G Suite, select Single Sign-on and then click on Try out our new experience. Q: Does this integration support Google Cloud Platform SSO integration with Azure AD? A: Yes. Google Cloud Platform and Google Apps share the same authentication platform. So to do the GCP integration you need to configure the SSO with Google Apps. Q: Are Chromebooks and other Chrome devices compatible with Azure AD single sign-on? A: Yes, users are able to sign into their Chromebook devices using their Azure AD credentials. See this G Suite support article for information on why users may get prompted for credentials twice. 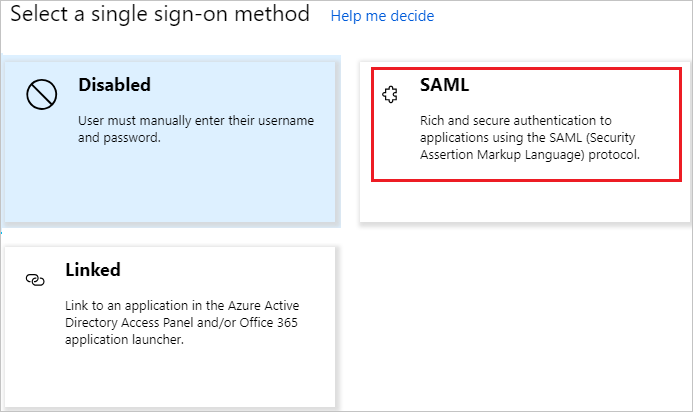 Q: If I enable single sign-on, will users be able to use their Azure AD credentials to sign into any Google product, such as Google Classroom, GMail, Google Drive, YouTube, and so on? A: Yes, depending on which G Suite you choose to enable or disable for your organization. Q: Can I enable single sign-on for only a subset of my G Suite users? A: No, turning on single sign-on immediately requires all your G Suite users to authenticate with their Azure AD credentials. Because G Suite doesn't support having multiple identity providers, the identity provider for your G Suite environment can either be Azure AD or Google -- but not both at the same time. Q: If a user is signed in through Windows, are they automatically authenticate to G Suite without getting prompted for a password? A: There are two options for enabling this scenario. First, users could sign into Windows 10 devices via Azure Active Directory Join. Alternatively, users could sign into Windows devices that are domain-joined to an on-premises Active Directory that has been enabled for single sign-on to Azure AD via an Active Directory Federation Services (AD FS) deployment. 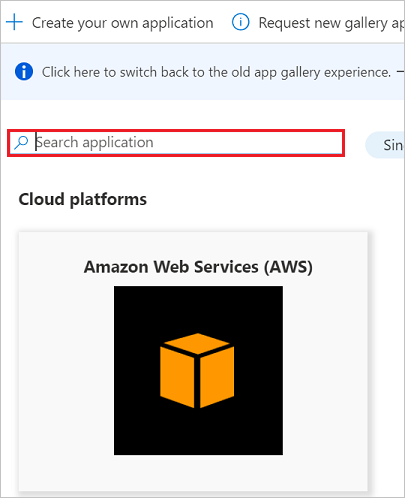 Both options require you to perform the steps in the following tutorial to enable single sign-on between Azure AD and G Suite. Q: What should I do when I get an "invalid email" error message? A: For this setup, the email attribute is required for the users to be able to sign-in. This attribute cannot be set manually. The email attribute is autopopulated for any user with a valid Exchange license. If user is not email-enabled, this error will be received as the application needs to get this attribute to give access. 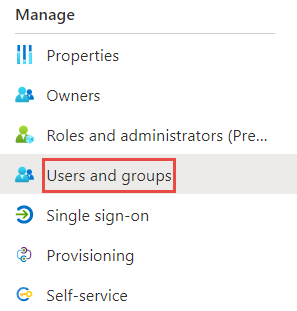 You can go to portal.office.com with an Admin account, then click in the Admin center, billing, subscriptions, select your Office 365 Subscription and then click on assign to users, select the users you want to check their subscription and in the right pane, click on edit licenses. Once the O365 license is assigned, it may take some minutes to be applied. After that, the user.mail attribute will be autopopulated and the issue should be resolved. To configure the integration of G Suite into Azure AD, you need to add G Suite from the gallery to your list of managed SaaS apps. In the search box, type G Suite, select G Suite from result panel then click Add button to add the application. 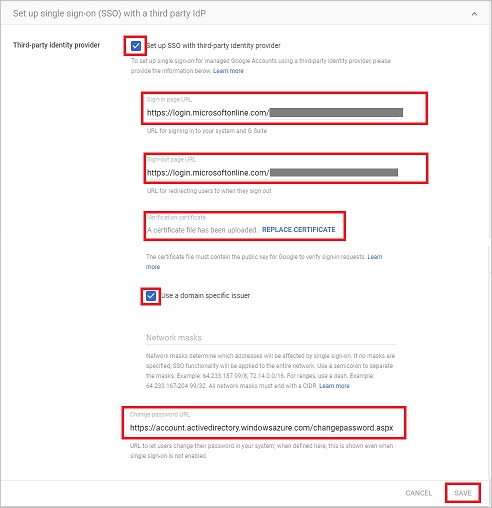 In this section, you configure and test Azure AD single sign-on with G Suite based on a test user called Britta Simon. 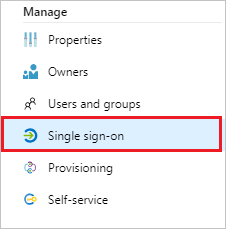 For single sign-on to work, a link relationship between an Azure AD user and the related user in G Suite needs to be established. Configure G Suite Single Sign-On - to configure the Single Sign-On settings on application side. Create G Suite test user - to have a counterpart of Britta Simon in G Suite that is linked to the Azure AD representation of user. In the Azure portal, on the G Suite application integration page, select Single sign-on. These values are not real. Update these values with the actual Sign-On URL and Identifier. Contact G Suite Client support team to get these values. Your G Suite application expects the SAML assertions in a specific format, which requires you to add custom attribute mappings to your SAML token attributes configuration. The following screenshot shows an example for this. The default value of Unique User Identifier is user.userprincipalname but G Suite expects this to be mapped with the user's email address. For that you can use user.mail attribute from the list or use the appropriate attribute value based on your organization configuration. On the Set up G Suite section, copy the appropriate URL(s) as per your requirement. Open a new tab in your browser, and sign into the G Suite Admin Console using your administrator account. Click Security. If you don't see the link, it may be hidden under the More Controls menu at the bottom of the screen. On the Security page, click Set up single sign-on (SSO). a. Select Setup SSO with third-party identity provider. b. In the Sign-in page URL field in G Suite, paste the value of Login URL which you have copied from Azure portal. c. In the Sign-out page URL field in G Suite, paste the value of Logout URL which you have copied from Azure portal. d. In the Change password URL field in G Suite, paste the value of Change password URL which you have copied from Azure portal. e. In G Suite, for the Verification certificate, upload the certificate that you have downloaded from Azure portal. f. Select Use a domain specific issuer. In this section, you enable Britta Simon to use Azure single sign-on by granting access to G Suite. 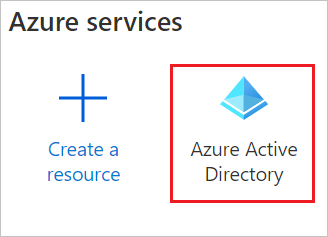 In the Azure portal, select Enterprise Applications, select All applications, then select G Suite. In the applications list, type and select G Suite. The objective of this section is to create a user called Britta Simon in G Suite Software. G Suite supports auto provisioning, which is by default enabled. There is no action for you in this section. 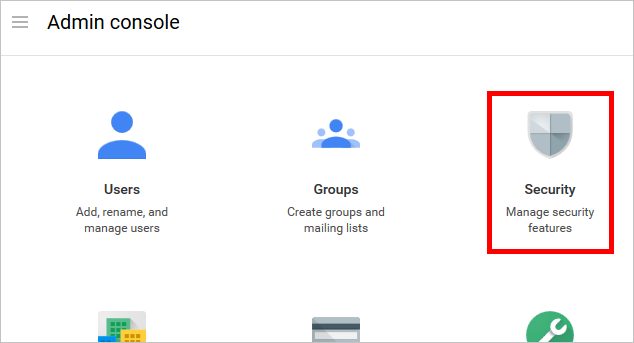 If a user doesn't already exist in G Suite Software, a new one is created when you attempt to access G Suite Software. 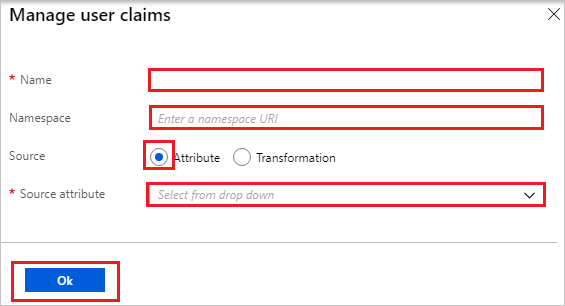 Make sure that your user already exists in G Suite if provisioning in Azure AD has not been turned on before testing Single Sign-on. If you need to create a user manually, contact the Google support team. When you click the G Suite tile in the Access Panel, you should be automatically signed in to the G Suite for which you set up SSO. For more information about the Access Panel, see Introduction to the Access Panel.